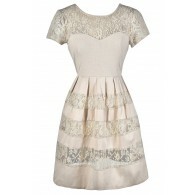 The Sleeveless Lace Overlay Dress is a delicate and feminine vintage-inspired dress that is very special and unique. This dress is crafted of a delicate lace with lining underneath, except at the neckline, straps, and top back. The back of the dress has a large fabric cutout, and two zippers in the back complete this dress. 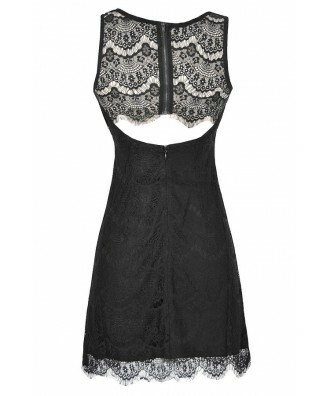 The Sleeveless Lace Overlay Dress would look great paired with pumps or strappy heels. Details: Lined below the bust. Exposed back zipper. Hidden back zipper. 100% Nylon. Lining: 100% polyester. Machine wash cold inside out. Hang dry. Small measurements: Length from top of shoulder to hemline: 35”. Bust: 32-34”. 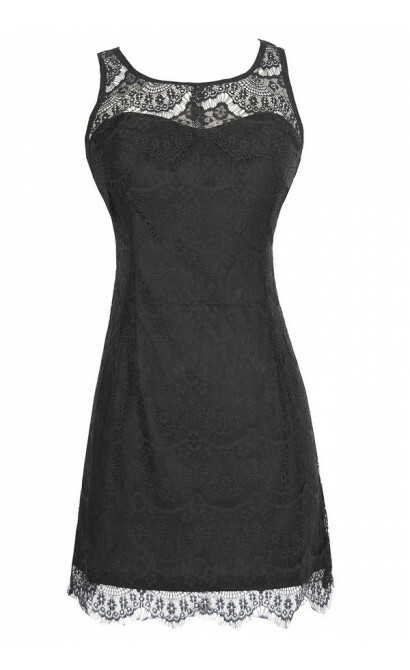 You have added Sleeveless Lace Overlay Dress in Black into Wishlist. 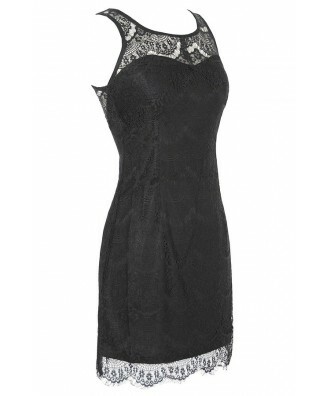 You have added Sleeveless Lace Overlay Dress in Black for Stock Notification. 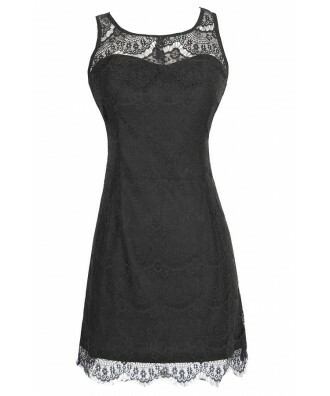 You have set Sleeveless Lace Overlay Dress in Black as a loved product. 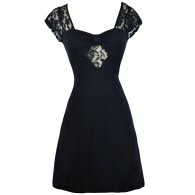 You have removed Sleeveless Lace Overlay Dress in Black as a loved product.